The destruction and dismemberment of the Soviet Union at the hands of Russian nationalists was a prophetic event, though few grasped this at the time. Nations bundled together under the abstract principles fashionable after World War I were coming undone: Yugoslavia in 1992, Czechoslovakia in 1993, the Levant in 2011. This, too, passed unperceived within any unified field of vision. A tidal wave of particularism, of political fragmentation, was about to sweep over the globe, leaving little untouched. None saw it coming, and only a handful, even after the fact, understood what had transpired. Francis Fukuyama’s thesis has been the object of much criticism and derision, yet it was and remains, in its essence, correct. No universal system challenged liberal democracy in 1989, when Fukuyama wrote “The End of History?” None can be found today. In the aftermath of the attacks of September 11, 2001, some argued that religion had provided a challenger: specifically, that Islam was at war with democracy. But the Taliban, in Afghanistan, is a tribal entity. The Islamist groups the US has engaged militarily, Al Qaeda and the Islamic State, are sectarian and particularistic, closer in spirit to Hitler’s worship of the mystical volk than to any universal principle. Whatever bonds of faith and behavior are meant by “Islam,” the fact remains that there is no political unit with that name. Islamist grievance derives exactly from this fact. If humanity is foreordained to reach universal governance, then the future must necessarily be democratic and transnational. That was Fukuyama’s insight. In the placid afterglow of the Cold War, many intelligent people imagined that the hour of destiny had arrived. V. S. Naipaul, nobody’s idea of a dreamer, could write in the 1990s of “our universal civilization.” But universalism is a choice, not a historical necessity of any sort: and democracy holds within itself the possibility of striking off in another direction. Even at the height of its prestige, having knocked out the last totalitarian champion, democracy remained caught in contradiction. It promotes individual freedom and tolerates an immense amount of contingency. An individual may seek meaning or identity in difference: qualities that separate a person, group, or nation from the human herd. The democratic system that seemed, in 1989, like the “final form of human government,” allowed plenty of room for the particular. Fukuyama’s Hegelian argument failed to take this dialectic into account. The Cold War had locked two opposed universal doctrines into postures of rigid confrontation. With the withering away of Marxism-Leninism, contingency rushed back into history – and was immediately cashed in. So we enter the present moment with the forces of particularism and fragmentation utterly dominant. Democracy contained this choice, and great numbers of the public, in many parts of the world, have so chosen. For the first time since the defeat of fascism and National Socialism, nationalism has been re-sanctified. Though accused of being a “populist” stance, it is popular enough to help win elections in the US, Russia, Hungary, Poland, Italy, Austria, and elsewhere. Certain features of twenty-first century nationalism recall the fascist past. The nation, locus of meaning and identity, is said to be in precipitous decline: it must be saved from its tormentors. Donald Trump promised to “make America great again,” while Vladimir Putin’s calling has been to rescue Russia from the mutilated corpse of the USSR. History, carrier of the universalist plague, has become the enemy. Transnational aggregations of power, far from being ethically superior, have assumed the part played by the Jew under Hitler: that of self-serving manipulators of national decadence. Thus the European Union has been charged by Viktor Orbán of Hungary with “stealthily devouring ever more slices of our national sovereignty.” In a similar temper, the British public has voted to break loose from the EU – first overt shock dealt to the old order by the particularist revolt. The contrasts with historic fascism, however, are much more striking and fundamental. The nation, in politics, is always a lever: a pivot-point. For Hitler and Mussolini, nationalism was the pretext for conscripting the public into a mass movement controlled by the totalitarian state. Only through the dictatorship of the avatar could particularism come to life: this was the leadership principle. Today the political polarities have been reversed. Power erupts from the bottom upwards. Modern government, perceived as a putrid “swamp,” elicits repudiations no less ferocious than those aimed at transnational organizations. Both are in the hands of an elite class intent on foisting alien abstractions – multiculturalism, political correctness, “swinish capitalism,” economic globalization – on unsettled societies. This governing class has become the target of the public’s rage. Contemporary nationalism, in brief, is at war with national government – at war, it may be, against every form of authority. The leadership principle dissolves into rant and ridicule in the age of social media. Unlike the elaborate justifications for fascism and National Socialism, the anti-authority impulse lacks a coherent ideology. It gives no thought to a mythical past or a revolutionary future: therefore, its negations often resemble an escape to nihilism. The nation, today, is a pivot to fractured identities. Even as Britain demanded a break with the EU, the Scottish government has demanded a break with Britain. The democratically elected officers of Catalonia were thrown in prison by the democratically elected government of Spain, to forestall secession. In the US, state and local Lilliputians have learned to lash down the Gulliver of federal authority. Republican governors fought a relatively successful guerrilla war in the courts against Obama administration policies. Local jurisdictions “resisting” Trump have openly proclaimed their refusal to enforce federal laws. At the top of the pyramid, where fascism posited the greatest concentration of political strength, one now finds weakness and failure. David Cameron tried to keep Britain in the EU and failed. His successor, Theresa May, tried to negotiate a divorce from the EU and has so far failed at that. Angela Merkel wished to insert a transformed, tolerant Germany at the center of a multicultural empire. Her policies have broken her power at home and boosted the electoral fortunes of anti-EU forces in Europe. Absent the dictator to signify the center, the mass migration from the universal to the particular has gotten lost among a tangle of narrow and contradictory pathways. The exercise of personal freedom has sometimes wandered beyond politics to private islands of identity, inaccessible to the rest of humanity. “I am,” a young person assures us (by way of illustration), “queer, trans, Chinese American, middle class, and able bodied.” Each label here denotes a boundary in the space open to debate. To speak “as a woman” or “as a gay person” is to reject the possibility that outsiders can penetrate the group’s perspective on truth. Those who try can be silenced by the charge of “cultural appropriation”: that is, theft of sectarian property. But the accumulation of labels leaves the bearer entombed in a private and subjective reality. Communication with the world, including one’s fellow citizens, is scarcely possible. 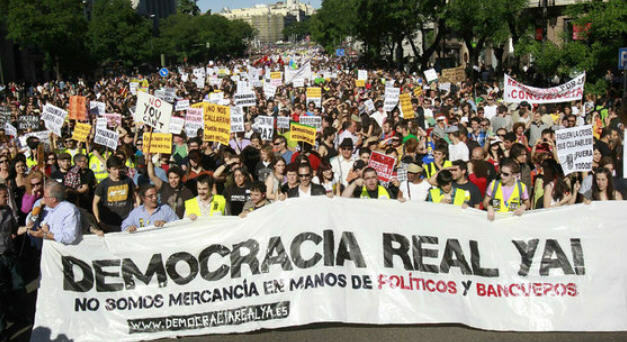 Participation in liberal democracy, as currently practiced, is scarcely possible. The individual can only make claims and demands on the whole. At this point, the flight to the particular has left nationalism and even sectarianism far behind, to plunge into a featureless landscape darkened by loneliness and grievance. The nihilist temptation – the wish to re-enter the world by smashing at it – is always present, close at hand. The triumphant doctrines of the last 100 years have held history to be the handmaiden of universal abstractions. The natural form of government for such an interpretation of history is heavily top down and obedient to expert opinion. Political disputes occur over technical matters, within a narrow band of possibilities. The big picture is given to those in the know. They own the map to the future, and differences among them are tactical, almost sporting. This is the ideology of the political and intellectual elites who have run the world since the end of World War I. The democratic carnage of the twentieth century, they believe, has been justified by its teleology. It was the price of admission to the next stage of human evolution. Without the vision of ordained human progress, the elite class can imagine only moral horror or political chaos: that is, fascism or anarchy. Nonetheless, a substantial portion of the public is now defecting from this austere, abstract system. The movement represents a reinsertion of the particular into democratic politics, and the return of contradiction, and hence of contingency, into history. The rise of a strangely personalized nationalism is only part of the story. An exaltation of freedom contradicts, without ever grappling with, a culture of endless grievance. The lack of a unifying ideology is willful: doctrine means oppression, an unacceptable reduction in the range of possibilities. In truth, all politics are now willful. There is no priestly caste to interpret the future, no predestined utopia, no religion of progress or science. There is only the human will – what Ronald Reagan called “the energy and individual genius of man” – pitted against the gathered forces of history. By a process of association, the elite class has been condemned to play the part of history in the present drama. The public is less interested in governing or justifying the past than in disturbing the peace in the present. In the middle of the scuffle one finds, inevitably, the question of equality. That too has returned with a vengeance, though also with the lack of clarity typical of our age. The established order, ideological to the core, seems unable to consider the concept without becoming entangled in archaic, almost meaningless formulas. Thomas Piketty’s attack on capitalism thus recapitulates Marx and the forgotten world of the nineteenth century, with one crucial difference: in the place of revolution, Piketty inserts a tax on the rich. Instead of a new dawn in human relations, the wretched of the earth will get a slightly larger Leviathan. The disproportion of ends and means is immediately apparent, and probably self-refuting. The public in all its iterations, on the right and the left, populist and sectarian, has chased after equality in a manner similarly riddled with political nostalgia and contradiction. Donald Trump descended on a golden escalator from his Fifth Avenue penthouse to speak on behalf of “the forgotten men and women of our country.” Trump’s economic policies betray his generational origins: tax cuts and import tariffs would look at home in the twentieth century. On the other side of the spectrum, the politics of identity begin with a desperate cry for equality and tolerance but end with demands for special privilege and the silencing of hostile opinion. “Antifascist” street fighters seek to reprise Berlin of the 1930s in contemporary Berkeley, California. Digital culture, “a world that is both everywhere and nowhere,” source of so much of the political turmoil in the real world, preached in its origins a flower-child version of egalitarianism. Today a handful of giant corporations decide, opaquely, most of what can be said and done online. The universal ideologies that rivaled religion in the past century appear exhausted at last. The public has sickened of a diet of abstractions: it has deeper needs, and is moving to supply them in the particular, that is, in the nation, the sect, and the self. In the flight from the universal, the public has scattered all over the landscape – and a question for democracy is how citizens can communicate intelligibly at such immense distances from one another. Particularism, by definition, means fragmentation. Pure assertion of political will, absent a program, ends with a babble of angry voices. The lack of a conceptual framework, now confused with liberation, is in fact an unsurmountable obstacle to finding common ground. Yet to be persuasive, even feasible, any such framework must first wrestle with the contradictions inherent to the idea of equality. This isn’t a search for Platonic definitions. The concept must be adjusted and made accessible to the digital age. The fundamental question is whether equality is seen to entail the expansion of freedom or a decrease in difference. All else follows from this choice, and each direction carries a long train of secondary questions. How much actual inequality, for example, can be absorbed as the price of freedom? What means of promoting equality can be considered legitimate in an open, democratic society? Should speech be controlled to protect marginal groups or persons? How wide is the circle of acceptable political dispute? What lies beyond the pale? Much intellectual work needs to be done. It might be argued that, in a fractured environment, this effort might amount to nothing more than talking to oneself: but that is an exaggeration. Half the human race speaks English and is connected through Facebook. One can dine on kimshi in Fairfax County, Virginia, and on Kentucky Fried Chicken in Seoul, South Korea. In strictly descriptive terms, Naipaul (as usual) got it right. The outlines of a universal civilization are visible from every corner of the earth. The task is precisely to endow this civilization with democratic content. This is a tall order, to be sure, but not an impossibility, and certainly not a reason for self-fulfilling pessimism. The end of World War II found the universalist principle everywhere triumphant. The two superpowers that inherited the world represented the two poles of democratic universalism at its most stringent and abstract. The United States, Lincoln had insisted at Gettysburg, stood apart from other nations in being dedicated to a “proposition”: that all were created equal. The history of the country could be interpreted as an immense odyssey, full of mishaps and struggle, toward the conclusions made necessary by this premise. Given the persistence of Jim Crow and political bossism, much distance remained on the journey – yet progress along this virtuous trajectory, by itself, allowed Americans to reject the contradiction between equality and freedom. To the American mind, both were God-given. Lincoln’s proposition unlocked an extensive domain of contingency in which everything became possible, including the reconciliation of the universal to the particular. The work of government, therefore, was to protect the rights of the individual in his pilgrimage to that vast frontier, no less than to enforce equality. Despite the inevitable contradictions of American society, the US government assumed leadership of the free world as a universal mandate, unencumbered by hypocrisy or irony. The Soviet Union, for its part, espoused universal doctrines at their most extreme – but with a difference. Stalin ruled a one-party dictatorship in the name of democracy, and he institutionalized state terror to impose equality. The moral inversions of revolution were for him extended indefinitely in time. The USSR was governed as if by a small band of conspirators, with constant denunciations of “deviationists” and “saboteurs,” opaquely sectarian trials, and deportations, assassinations, and massacres on an unprecedented scale. The bloodshed was sanctified in the birth of a “new man”: Marxism-Leninism always claimed ownership of the perfect future. That was its seductive charm. The classless society, final solution to all human contradictions, hovered just beneath the horizon. Stalin invented the totalitarian state and terrorized his own people to end, by brute force, the oppressive cycles of history. After two world wars, many thoughtful observers were willing to embrace this Faustian bargain. The 45-year collision between the US and the USSR – that is, between unequal freedom and undemocratic equality – has been called the Cold War, but the label scarcely does justice to the realities of the age. Tens of millions were put to death in the Marxist nations alone, an ideology-driven crime spree that has yet to receive full accounting. The battleground nations – Korea, Vietnam, El Salvador, Angola – suffered almost as severely. Given the terms of the struggle, advantage lay with whichever side could claim the most complete and sincere surrender to democratic universalism. By a curious paradox, this largely favored the totalitarian state. It had crushed individual freedom, ostentatiously, on behalf of “real” democracy and economic justice. The revolutionary faith tolerated judgment only from the skewed perspective of the future: all present horrors would be applauded retrospectively. In the decades after World War II, Marxism-Leninism spread far beyond the European homeland, penetrating nations, Furet writes, with little previous exposure to democracy or Christianity. American failure to hold on to South Vietnam gave this tendency the feel of inevitability. Hordes of Western artists and intellectuals jumped on the Soviet bandwagon, afraid to be left behind by history. Yet Jimmy Carter was an anomaly. US governments and elites responded to the Cold War with a sustained effort to align national life with the universal abstractions it was expected to embody. The particularism of the South with regards to race was finally obliterated. Local political machines were reformed out of existence. The welfare state grew enormously to compensate for the inequalities of freedom. Intermediate entities, like the states and the parties, were drained of much of their authority. The presidency towered over politics, and the political process was made more inclusive and democratic, hence more unpredictable. From 1945 to 1980, the pull of the universal transformed American society. The election of Ronald Reagan completed the process by raising to office the most visionary American leader since Woodrow Wilson – and the most militant defender of personal freedom, it may be, since Thomas Jefferson. There is no doubt that material causes featured prominently in the discrediting of Marxism-Leninism and the collapse of the Soviet Union in 1991. The Soviet economy couldn’t compete with the US. Reagan’s weapons build-up pushed the old men in the Kremlin to desperate measures. In this context, the policies of Mikhail Gorbachev appear as a forlorn attempt to lash the egalitarianism of the one-party dictatorship to the productive superiority of liberalism. The gamble proved fatal: Gorbachev, putative savior of the USSR, made history as its undertaker. The contradiction he sought to bridge was too immense and fundamental. Other contradictions, arising from the “war of ideas,” contributed to the downfall of the Soviet system. 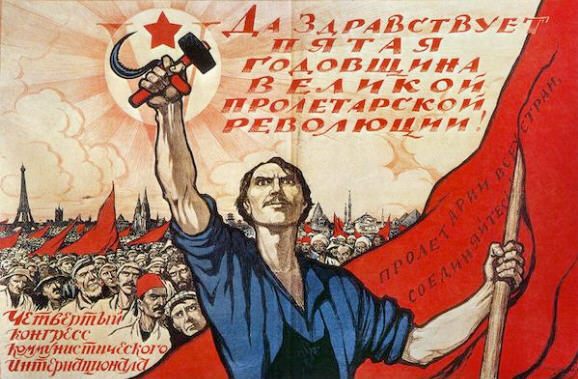 The Soviet Union was a nation and an engine of revolution. It had particular interests and a universal mission. Tension was inevitable and could not be papered over by phrases like “national Bolshevism” or “socialism in one country.” Stalin openly stoked Russian patriotism in response to the German invasion of 1941. The Third International was dissolved in 1943. After the war, Soviet troops occupied East Europe and set up puppet regimes by brute force rather than revolution. Revolts were suppressed in blood and iron. The 1968 “Prague Spring,” which held out hope for “socialism with a human face,” was crushed under the tread of Soviet tanks – alienating, at long last, much of the European intellectual class. At the height of the Cold War, the Soviet Union began a long march to particularism that would end only with its own dismemberment. The schism with Mao Zedong’s China was a decisive juncture along this path. If the two great Marxist-Leninist nations were now divorced, who retained ownership of the future? The idea of revolution stood at the heart of the riddle. Revolution was the reason for the Soviet Union’s existence, yet by the 1960s the heirs to October 1917 ruled over a nuclear superpower and a restive empire. Radical political change was a threat, not a friend. Neither Marx nor his philosophy of history, in any case, had much to say about the atomic age. The fires of Leninism had failed to forge a new Soviet humanity: the classless society, like the Christian end-times, retreated to the realm of myth and hope. At the same time, the savagery of the Soviet past, long buried under a mass of propaganda, began to seep into the light. Khrushchev repudiated Stalin’s “cult of personality,” before being shunted off to make way for a succession of cautious Party apparatchiks. The publication of The Gulag Archipelago in 1973 showed the totalitarian state to be (in the words of Bernard-Henri Lévy) “barbarism with a human face.” Intellectuals in need of revolutionary heroes began to look outside the USSR, among exotic avatars like Mao and Castro. Yet these men were nationalists rather than world redeemers – and Mao’s regime displayed, to the edge of madness, every pathological excess associated with the dream of revolution. It took a genuine proletarian revolution in Gdansk, Poland, in 1981, to confront the Marxist-Leninist system with the sum of its paralyzing contradictions. The Polish proletariat demanded freedom from the dictatorship of the proletariat. It chose indeterminacy over equality. In the national elections of June 1989 it got just that, setting in motion the process that would lead, five months later, to the fall of the Berlin wall and the cracking apart of the Soviet empire in East Europe. You are currently browsing the vulgar morality blog archives for September, 2018.